Art Directors talked, and we listened! Art Directors told us that they'd prefer to browse art in a gallery-type format, seeing one piece per illustrator displayed. So we've changed the planned Portfolio Display at the Annual Winter Conference to an Art Showcase. Illustrators need only prepare one piece and business cards or postcards rather than a full portfolio. Art Directors and other industry professionals will browse the Friday night art display, picking up cards from the illustrators whose work interests them. Literally hundreds of invited Agents, Art Directors, Editors and other publishing professionals will be viewing the art. It's just $50 to participate in the Porfolio Showcase, but if you enroll in the Illustrators Intensive it's FREE. The display will be juried and two cash prizes will be awarded along with one awesome Grand Prize--an all-expenses paid trip to New York and meeting with art directors! 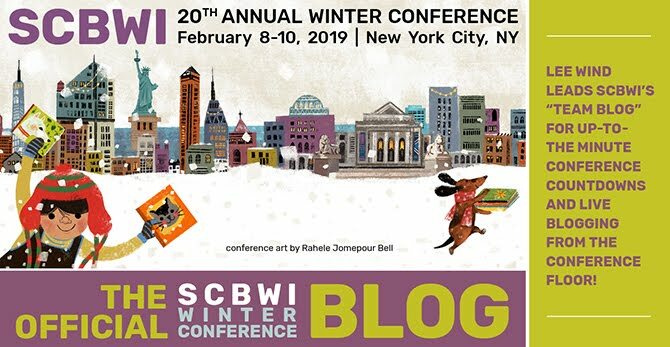 Be sure to visit SCBWI.org for more information and guidelines and don't miss this terrific opportunity to have your work viewed by the decision makers! There's truly no other event where you can have your work seen by so many agents, editors and art directors! And click here to register for the Annual Winter Conference. SCBWI Winter Conference Registration is Now Open... And Very Popular! Registration is open for the 2011 SCBWI Winter Conference in New York City and we're thrilled at the great response so far. It's so, great, however, that, if you're registering, you'll have to wait in line. We've implemented a queue system based on how many users are trying to register. The Pre-Conference Intensive for Writers usually takes about 5-7 days to fill up. If you’re worried about getting into that event, stay on the registration page and the link will appear when the timer counts down to zero. (Click around online to pass the time. Visit Facebook. Buy some new shoes.) You can also email us at webmaster@scbwi.org. If you are not registering for the Pre-Conference Intensive for Writers, and can wait a day or two to register, the wait will be much shorter. We really appreciate both your patience and enthusiasm. We''ll get you taken care of and get you registered!